Many of my gaming friends are geographically distributed across the country. Recently we have been having a lot of fun gaming over our i-devices playing asynchronously. The number of Board Game ports in the App Store is pretty large, but not all of them have online play, let alone asynchronous play with your Game Center friends. I wanted to create this Geek List to track iOS games that I know work well with asynchronous play. This game gets a lot of play from our group. I currently have over twenty five games going. One thing to watch out for is that there is an adjustable time limit for each player's plays. The default setting is pretty low to start out with, so you have to pay attention to raise it. We usually set our games for 14 days or longer, and sometimes life still happens and someone unintentionally forfeits. Another positive about this game is the in-app purchases. You can get Ascension: Return of the Fallen, Ascension: Storm of Souls, and a package of the promo cards. Fluxx just came out for iOS, but is also becoming popular with our group. Having played many versions of Fluxx, I think that this is a good adaptation of the game. This also has the time limit that Ascension has, so you have to watch out there. The games can play pretty fast, or take several rounds... pretty much like the paper version. My only criticism is that if you play a hand limit card where your fellow players must discard, you have to wait to them to discard to finish your turn. Based on the cards in Fluxx, there are valid reasons for this... but it is still annoying. Another good port of a classic game. Several members of our group have been playing this much more than me so far. There does not appear to be a time limit on turns. In addition to the online play, and AI play, there is a solitaire mode. In-app you can purchase Carcassonne: The River, Carcassonne: Expansion 1 – Inns & Cathedrals, and most recently Carcassonne: Expansion 2 – Traders & Builders. This one is in the two player camp. My only complaint is that it doesn't give you the little red indicator on the App when it is your turn. I've also had games disappear into the aether when I forgot they were there for weeks. There isn't an obvious online time limit. Still a solid contribution. I've only just started playing this game. It has an interesting pricing dynamic. The game itself is free. To access the online play, you have to purchase at least one faction from the on-line store. In the store they have lots of different packs and options. You can buy them all or some individually, or buy everything as a bundle for $7.99. This seems to be a great deal if you think you will be using many of the factions. This game also has a time limit to turns, which can be set to a maximum of 14 days. Edit 2012-12-28: I've now played through the tutorial and 1+ online games . A couple of interesting notes. First, the "Load a random default deck" option is hogwash. The Tundra Orcs are always the first thing loaded. If you run it a second time, it is Fallen Kingdom. I know this isn't just me, because the other player and I both did this and we both ended up playing with the same deck. Both times we set up a game. The first time with the Tundra Orcs, now with the Fallen Kingdom. Another thing to note, the board game is listed for 2-4 players. As far as I can tell, the app is only set up to run two player games. I've had this game on my iPhone and iPad for awhile, but not played it online asynchronously.They had been using some online system other than game center up until this most recent update. Now it does use Game Center and appears to be well set up for online play. Based on my pass and play experience, this should be a fun addition. Edit 2013-01-30: My husband and I have been playing this asynchronously, and the implementation is a bit buggy. It works best if you exit the online game and go back in before playing each turn. The only reason this hasn't gotten more play is that we have found the rules a bit more confusing than Ascension. Also, not as many people in our group have the game. Since the developer of the game is the same as Ascension, I am assuming that there will also be the time limit mechanic. This is one I would like to get into more. Available for in-app purchase is Nightfall: Martial Law. This is a completely new game for me. I am not familiar with the print and paper version, and I just downloaded the app today. As with many of the games on the list, Playdeck is involved in the development of this game. I am confident it has a solid asynchronous play. Edit 2012-12-29: Been playing this game some and it is quite silly and fun. BUT, there are some issues with the tutorial. It doesn't clearly tell you that each person is picking a battleground, and if you don't pick the same one you battle against the dog. I went through the tutorial and then played an offline game and was very very confused until I went back and looked at the rules. This game has a lot of back and forth between players. When you are playing in asynchronous mode, each card (not turn) may go back and forth between your opponents. It works out, but depending on how responsive your opponents are, it can take awhile to play a game. Another new game! I am familiar with the print version but haven't had a chance to play it yet. As a new addition to my i-devices, I don't have any major comments yet. I'll update as I do. Edit 2013-01-30: I've gone through the tutorial and am playing an online game. It is a pretty fun Euro style game. This has been a pretty solid implementation and we haven't had any issues with the asynchronous play. This app is an HD app, so it is only available on the iPad. This will significantly limit who in our group I will be able to play with. This is another I haven't played online yet. According to the online description it has online game center play. Unlike Puerto Rico, San Juan can be played on the iPhone or iPad. It does appear to have Game Center play available. Looking forward to trying this one out as well. 2012-12-25 Update: I tried this today and it looks like the online multiplayer is realtime, not asynchronous. This is a big bummer. Hoping for an update. I've played this on my iPad offline against the AI for awhile, but not online. Initially, I thought that you needed to use a Days of Wonder log in to play online, but it appears now that you can use Game Center as well. There are actually a couple versions of the game. Ticket to Ride is the iPad version. 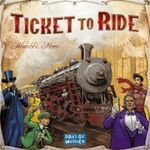 Within this App you can play Ticket to Ride, Ticket to Ride: Europe, Ticket to Ride: Switzerland, Ticket to Ride Map Collection: Volume 1 – Team Asia & Legendary Asia, and Ticket to Ride: USA 1910. Ticket to Ride Pocket and Ticket to Ride Europe Pocket are iPhone compatible. Edit 2013-01-30: I've been playing Ticket to Ride Pocket and Ticket to Ride Europe Pocket with several people. The implementation is solid and the games are fun. My ongoing complaint is that the iPad version of Ticket to Ride is not asynchronous compatible nor does it seem to link to your games in the Pocket versions. The iPad version also allows you to play Ticket to Ride Asia, which isn't in any of the pocket versions. 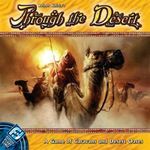 Looking at the BGG News posts I found out about Stone Age. According to its description it does support asynchronous play. I'll have to check this one out. Edit 2013-01-30: I've started playing Stone Age recently. 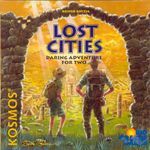 It is another cool Euro Style game. The asynchronous play is solid. A great addition to my game list. 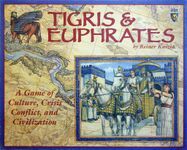 In my ongoing search for games with online asynchronous play I found Reiner Knizia's Tigris & Euphrates. I quickly downloaded this one and it does use Game Center. Another game to add to the play list. Edit 2013-01-30: I'm still getting the hang of this game, not due to any issues with the implementation, but rather my inexperience with the game. It is a good overall implementation and you get spoiled with the game keeping score for you. The only odd thing I saw was that during a multiplayer game I can see my opponent's point totals, but in a game against the AI, I can't see my opponent's points. Tikal is also from the makers of Puerto Rico. I found out about this from a list of Condito games on sale until the end of 2012. Looking through the app description, it supports online multiplayer play. When I searched for Through the Desert in the iTunes store I came up with two options. One that seems to be iPhone only, and one that is both iPhone and iPad. There is a $1 price difference, and it isn't clear if the two versions talk to each other. I certainly hope so. I've played this in the print version, but not yet the iPhone version. Based on the online reviews it looks like it is a solid game that could use a few tweaks. Another new download to my phone. Found this through a chain where I look at one game and find a hint about another. A lot of Reiner Knizia's games have been ported to iOS, so it isn't that surprising. The game description indicates online play with push notifications. I found this from the iOS Board Games Gift Guide post. When I searched for it in iTunes I found the game, a Lite version and a Puzzle version with a different logo. Since we are focusing on online play here, I am going to link to the full version of the game. I think my iPhone is getting heavy with all of these games. I wasn't aware that the makers of Penny Arcade came out with their own deck building game, but well they did... and now they have an iOS app. More details are at this iOS blog post: iOS Release: Penny Arcade The Game: Gamers vs. Evil. Edit 2013-01-03: I've been playing this for a bit. It is a fun deck building game even if you aren't familiar with Penny Arcade. It has a lot more player on player aggression than Ascension. Solid asynchronous play as one would expect from Playdeck. See also the note in the comments about the asynchronous flag when playing online. Edit 2013-01-30: This game is really fun. It is pretty simple to learn and play, and a bit addictive. A few times I've found myself playing the solitaire version instead of going to sleep. The asynchronous play has been working well so far. The same iOS blog post where I found out about Cafe International, mentioned an update to Scotland Yard. So, checking it out it mentions "online/Game Center" play, so I'm adding it to the list here and my iPhone to check out. 2013-01-16: I recently played through the tutorial on this one. In many ways it is a lot like Mr. Jack. I enjoyed it, but unfortunately it turns out not to be asynchronous. It runs through Game Center, but is looking for real-time play. Another bummer. I hope that an update will add asynchronous play. 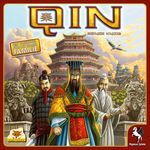 Another contribution from the Reiner Knizia front. The product description says it supports Game Center Play on the Internet. Note that this is an iPad only app. for telling me about this one. Adding it to my download list now. The online description clearly says "asynchronous multiplayer with push notifications"
I forget now how I found out about this one... some sort of chain of links or references. 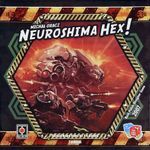 Around here on BGG, I've seen mixed comments on the quality of the online implementation, but it does seem to exist. There has also been a recent update. The game looks like a good family option. 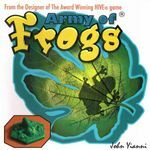 Another Reiner Knizia contribution. Looking at the older comments, this used to use a different method for online play in the past, but a recent update indicates that it is now starting to use Game Center.